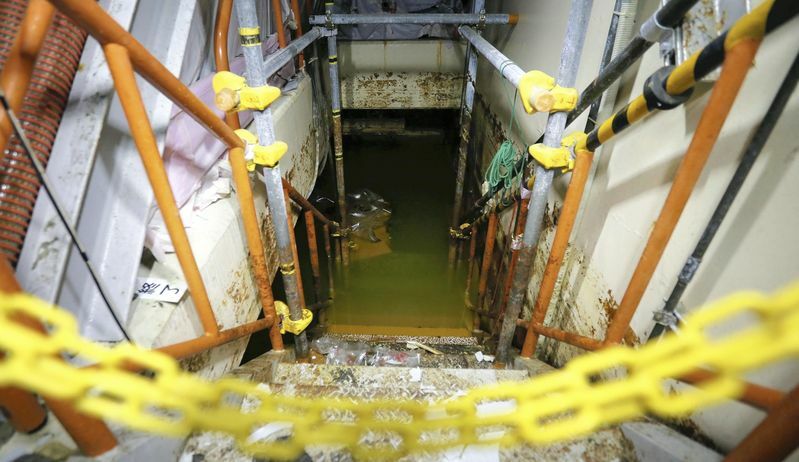 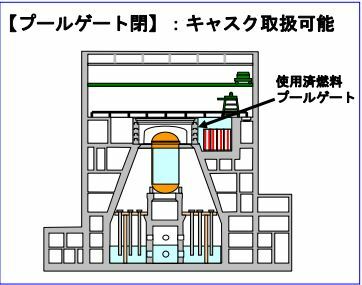 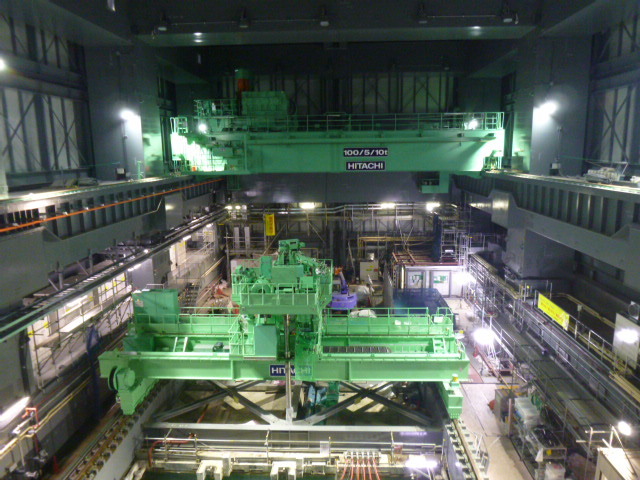 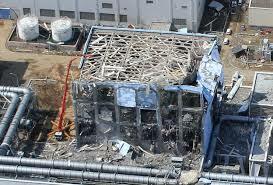 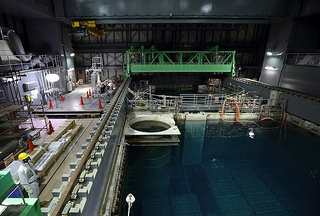 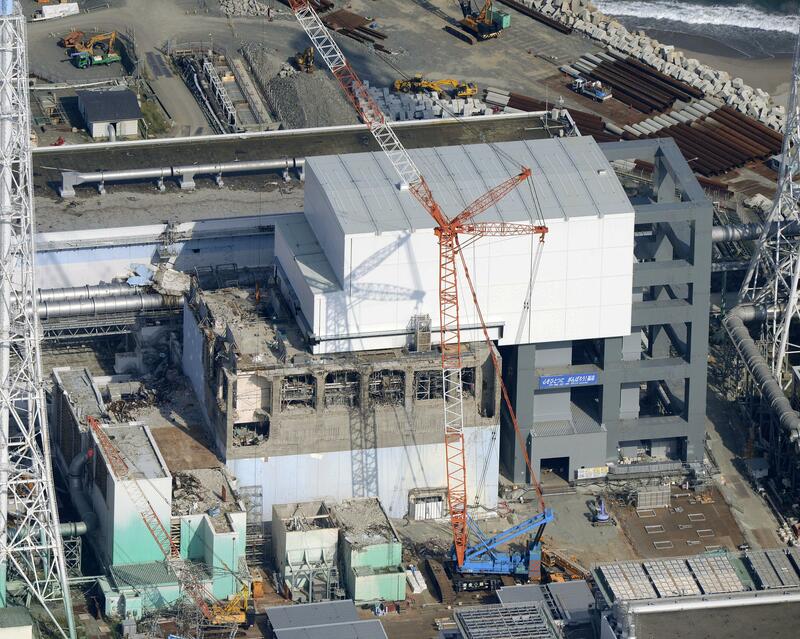 TEPCO announced that work to remove spent fuel from the unit 4 fuel pool will be suspended for 3 months. 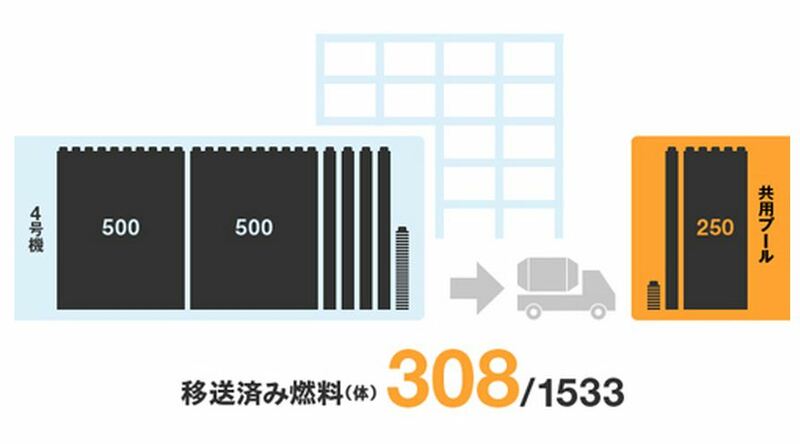 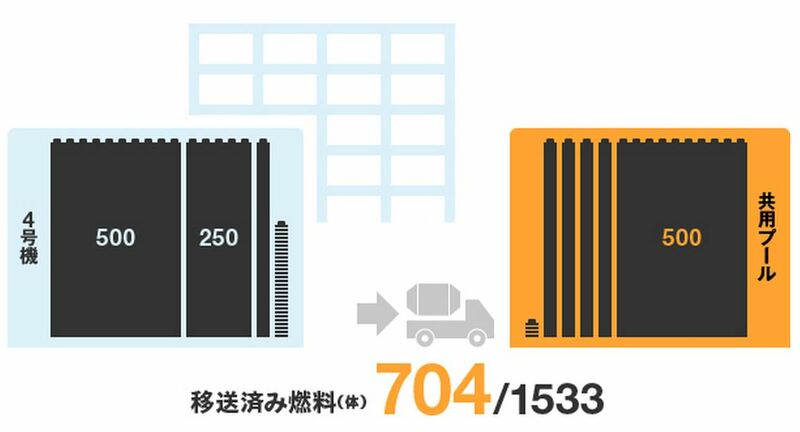 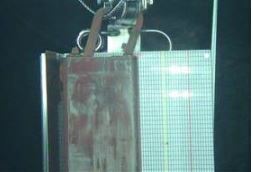 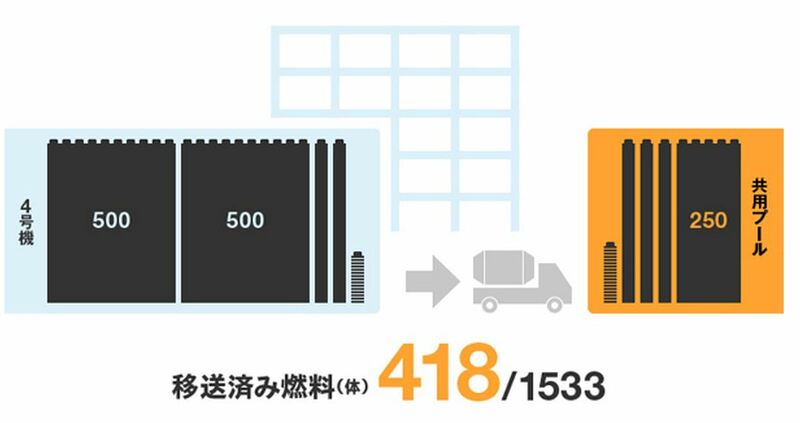 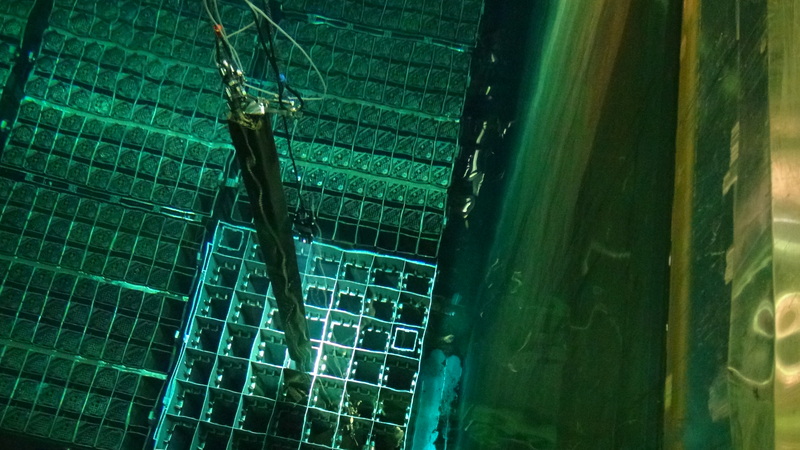 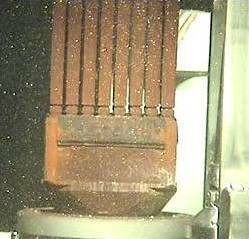 TEPCO released a small selection of images of some of the fuel removed from the unit 4 spent fuel pool. 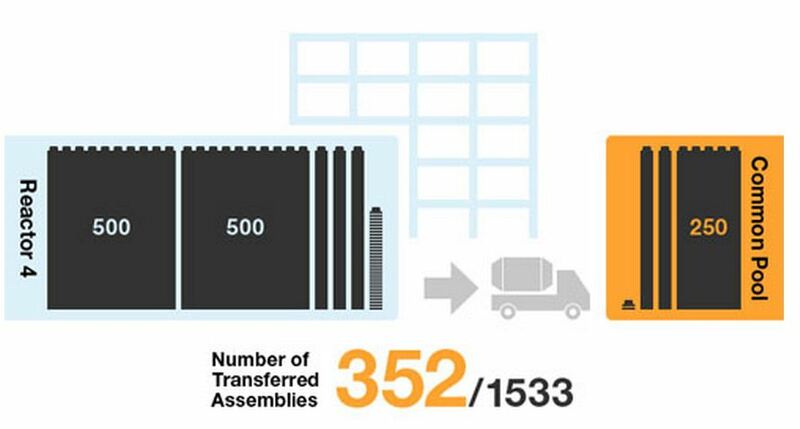 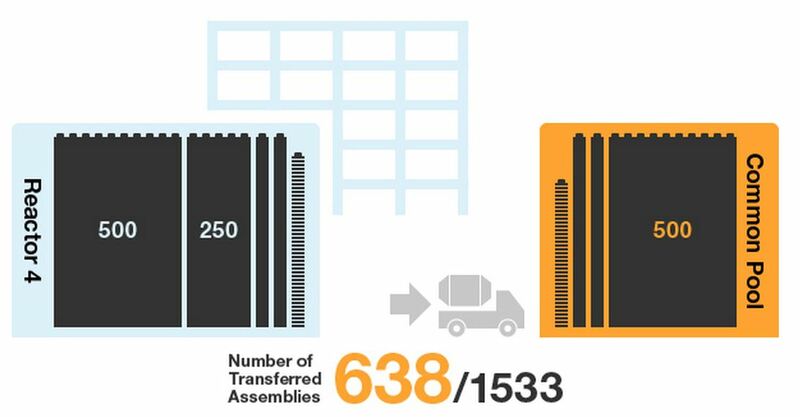 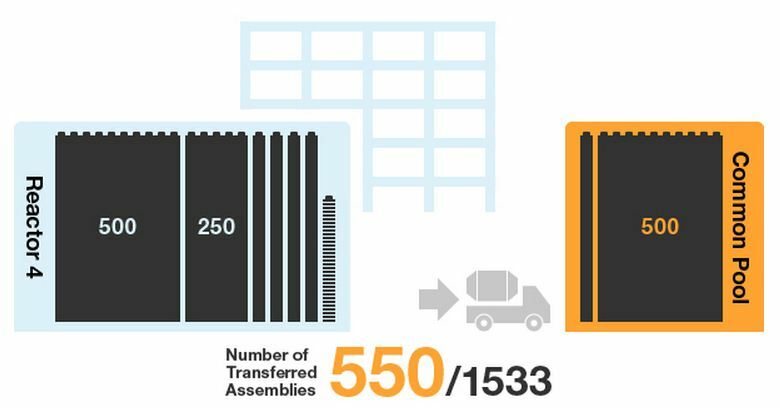 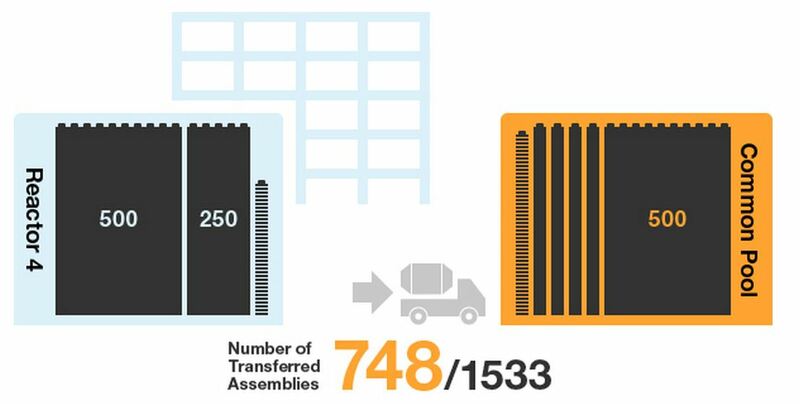 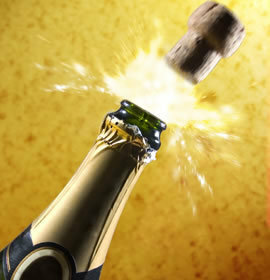 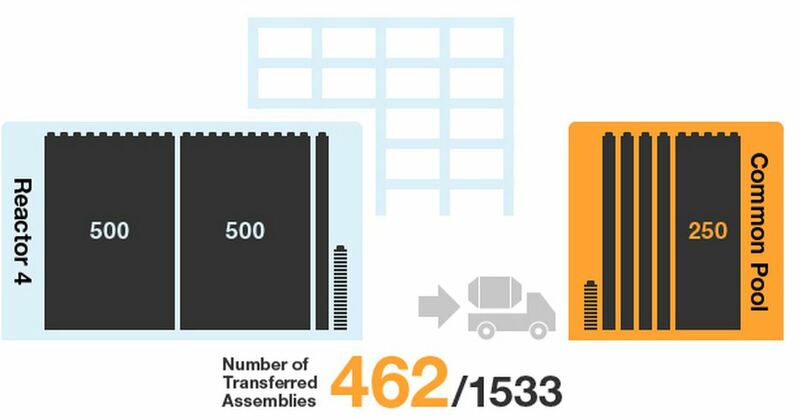 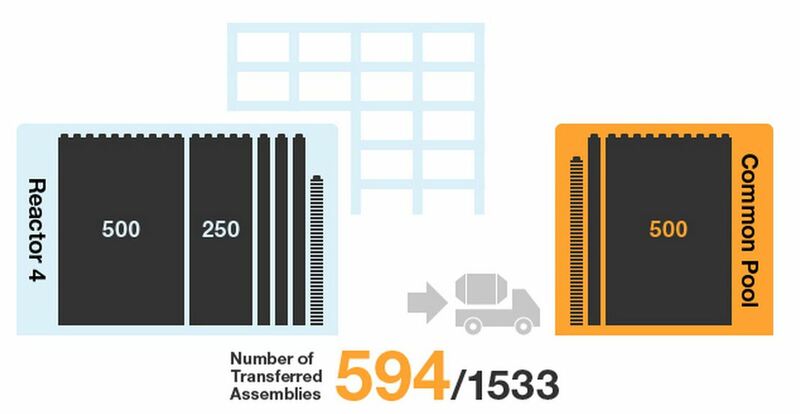 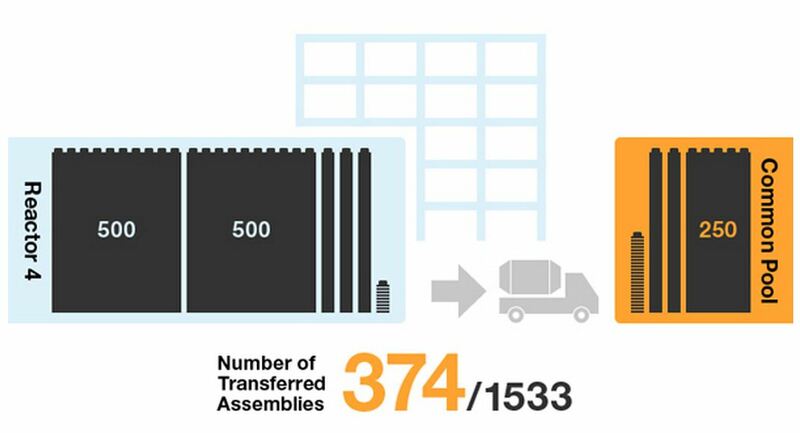 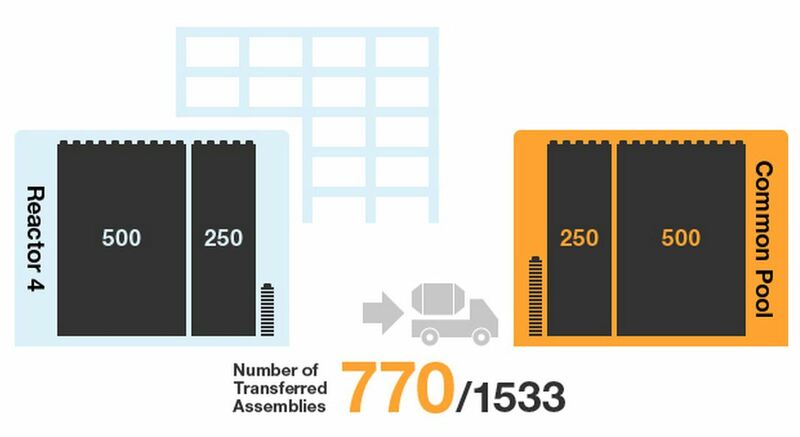 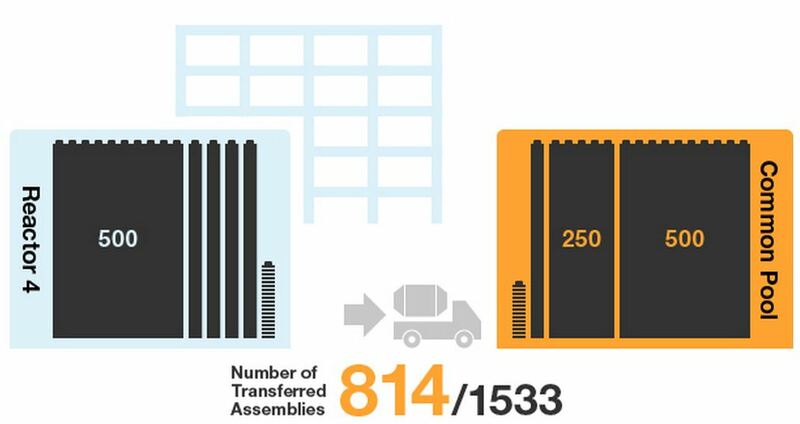 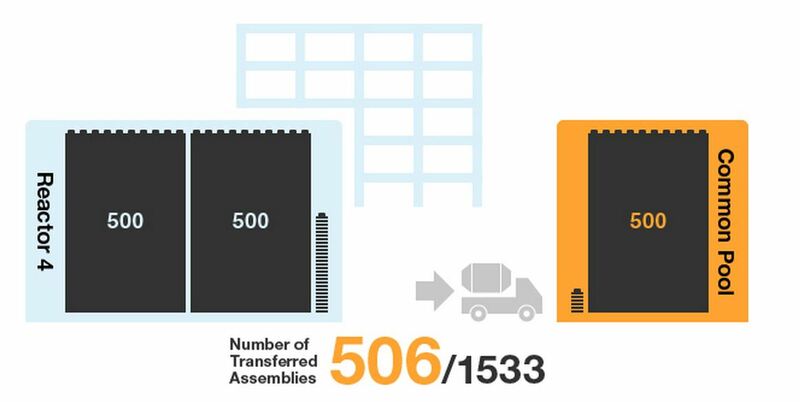 374 fuel assemblies have been moved from unit 4’s spent fuel pool to the common pool as of this week.